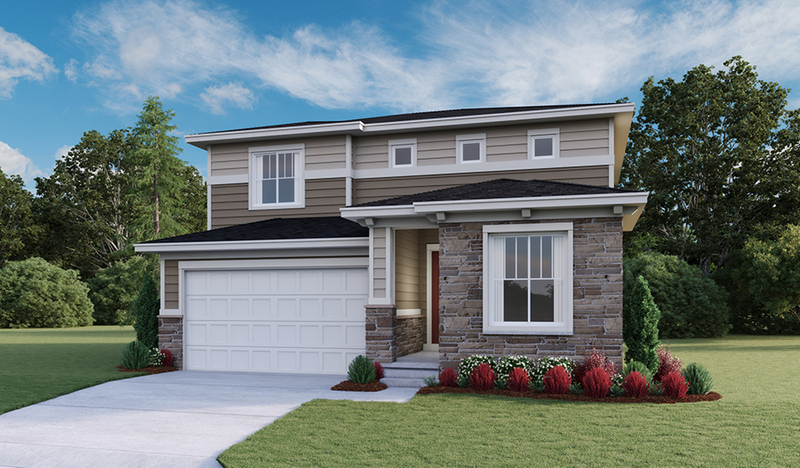 This new two-story home has a lot to offer! The covered entry leads past an elegant study and powder room and into a spacious open layout showcasing an inviting great room, a dining area and a kitchen with a center island, built-in pantry and included refrigerator. You'll also love a covered patio with center-meet sliding glass doors. Upstairs, you'll find a master suite, complete with a roomy walk-in closet and private bath. The second floor also boasts two additional bedrooms, a convenient laundry room and another full bath with dual sinks.